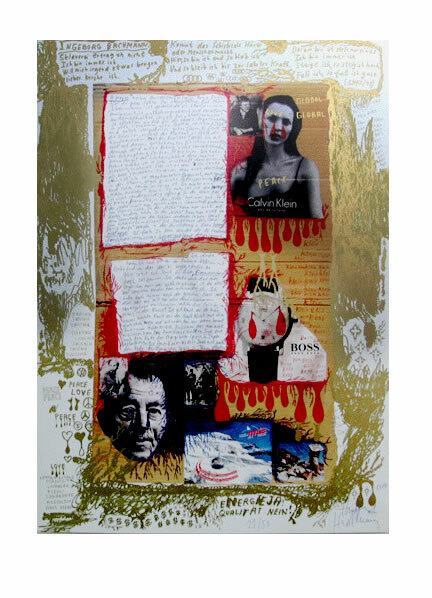 Thomas Hirschhorn, offset lithograph with gold ink. 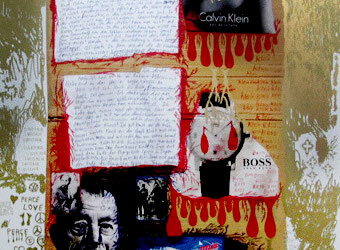 Born in Switzerland in 1957, Thomas Hirschhorn's collages and installations combine everyday, cheap materials with texts, found photographs and other objects. Many of his works are political in nature, or dedicated to historical figures and thinkers.